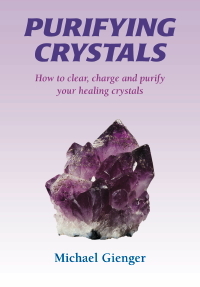 The essential prerequisite for working with crystals successfully is to understand the most effective methods for cleansing, purifying, and recharging them, as thoroughly discussed and evaluated in this conveniently-sized guidebook. Users of crystals for their healing energies will learn how their tools become impure and corrupted as well as how to adequately purify them from foreign energies and information. The instructions are demonstrated through a complete cleansing ceremony that can be used on all crystals, including jewelry. Other topics covered include the external cleaning of jewelry for purely aesthetic purposes and the correct application of crystals for cleansing rooms. Michael Gienger leads seminars and trains therapists at the Cairn Elen Lebensschulen in Germany. He has immersed himself in the study of the use of crystals for healing purposes since 1985 and has gained international acclaim for his work. He is the author of over 20 books on crystal healing.